* Anyone can give a wedding gift that will be treasured for years to come when they give this Love Forever Signature Canvas, a present any new couple will enjoy. 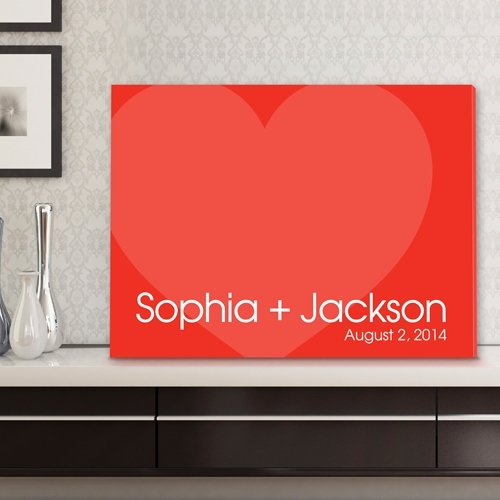 * The pink heart is surrounded by a bright red background and the couple's names appear at the bottom of the canvas print along with the date. * As an added perk, there's extra room for guests to add their good wishes.